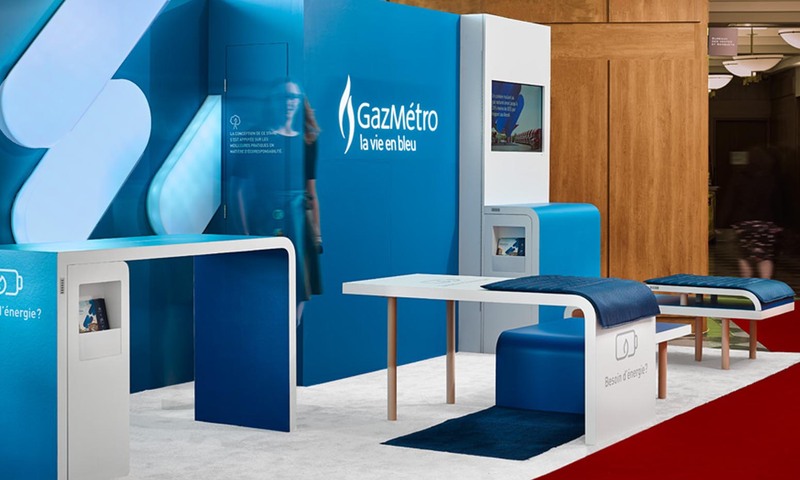 Gaz Métro (Énergir) wanted to renew their exhibition booth to meet their various customer base during business fairs as well as for public relations events. 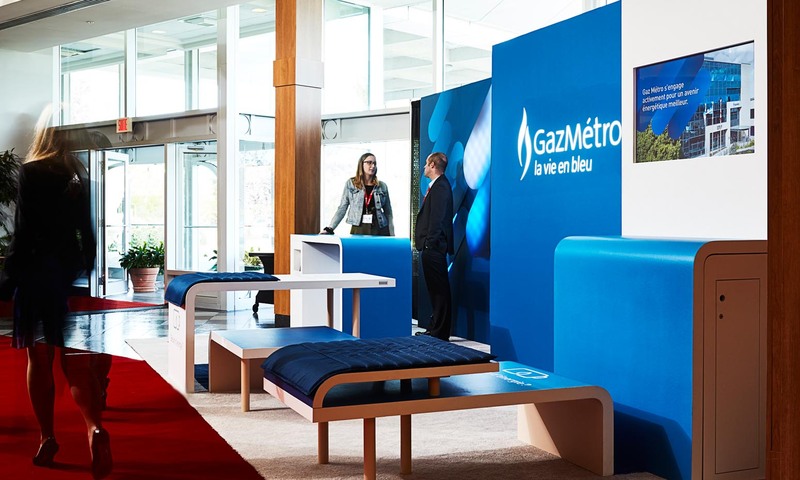 Gaz Métro booth owed to be the most ecologically responsible. 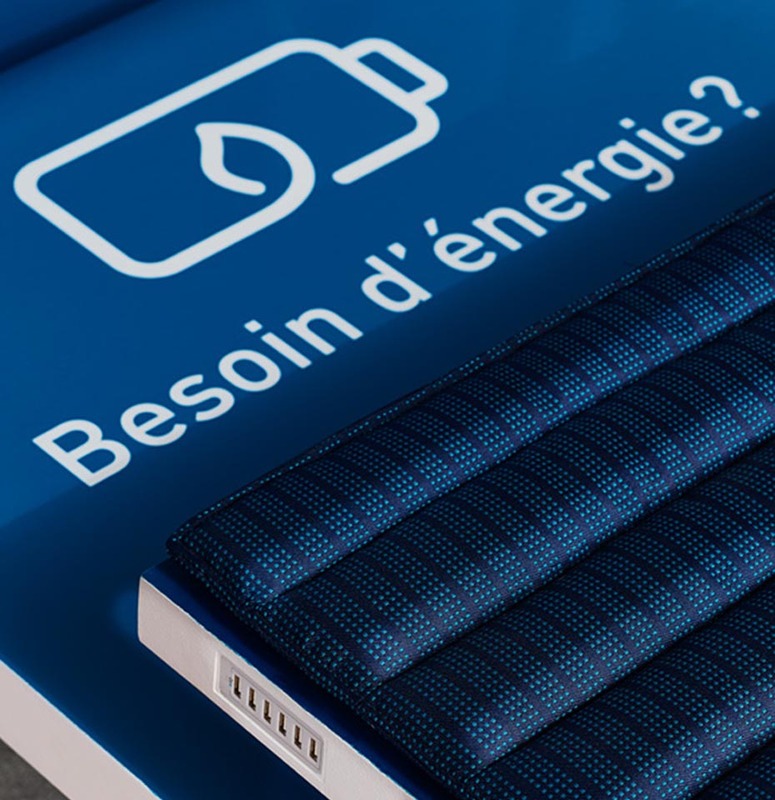 We took up this challenge by supplying locally, by choosing recyclable materials with renewable or recycled fibers and with finishes without VOC. The booth was designed in various modules for a better adaptability according to the needs of every events. Furthermore, to create a visual impact, we conceived dynamic and programmable light panels, that changes according to the atmosphere wanted in an event; sometimes relaxed, sometimes dynamic. Some modules were also used as charging stations for cell phones; very appreciated by the visitors during congress.